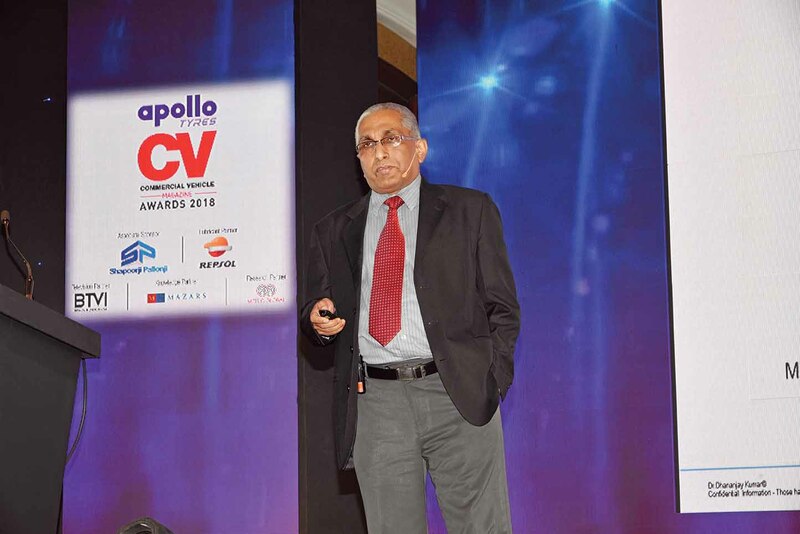 Dr. Dhananjay Kumar delivered a keynote address underlining the industry future at the beginning of Apollo CV Awards 2018. Beginning his address by describing the Indian vehicle industry as the third largest, Dr. Dhananjay Kumar, Managing Director, Electric Vehicle Program, Thor Power Corporation, USA, spoke about technological regulations and the industry future. Stating that the industry will continue to grow consistently for the next 10 years at double-digit figures, Dr. Kumar announced, “We will leapfrog from BSIV emission norms to BSVI emission norms, which are quite stringent, by 2020. This would be a part of the long-term market projections to comply with global norms, and not just in the area of emissions, he averred. Stating that industry growth would be helped by GST and a large investment in infrastructure, Dr. Kumar mentioned, “CV makers will have a big opportunity. They will have an opportunity to invest and expand.” Citing the Automotive Mission Plan 2016-2026, he expressed that the auto industry, which has a big share of the manufacturing index and in-turn the GDP, is expected to grow 200 to 300 times in the next ten years. Stressing upon electrical mobility as the next big step, Dr. Kumar said, “The auto industry has to take lead in introducing technologies of its own to meet the requirements of the future. “Electric and alternate fuel drive-trains will play an important role,” he mentioned. Terming the electric mobility mission plan as ambitious, Dr. Kumar remarked that it is dynamic in nature. Presenting a macro-level view of how this industry could grow, the plan would address each and every aspect of the technology in terms of government investment, and how the industry is going to respond, he averred. Stressing on the emergence of safety norms. Dr. Kumar drew attention to the setting up of testing houses across the country under NATRIP. “This,” he said, “provides a robust evaluation opportunity for new vehicles.” Touching upon the arrival of the green urban transport, Dr. Kumar said that an ecosystem that complies with the new regulations will find a way. “Its arrival will mark the outcome of the investments made,” he expressed. Confident of electric mobility systems playing a major role, Dr. Kumar stated that the smart cities program is progressing with the help of a big financial boost by the government. The infrastructure created under this program will lead to the CV sector gaining well. The vision to have 100 per cent electric vehicles in public sector and 40 per cent in the private sector by 2030 would change the entire dynamics of the CV market, he explained. Drawing attention to the emergence of fuel efficiency norms, Dr. Kumar said that mentioned that the same is being introduced in India for the first time. 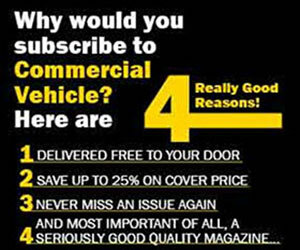 “The other big policy on the way is vehicle end-of-life, and will provide a big boost to new vehicle sales,” he announced. While the vehicle end-of-life policy will affect three million vehicles by 2025, the emergence of BSVI emission norms in 2020 will have a big impact on carbon footprint. “The ambitious electric mobility program will put India on par with others as far as public electric mobility is concerned. The fuel efficiency norms will mark a major milestone. It will push the efficiency of the engines up. 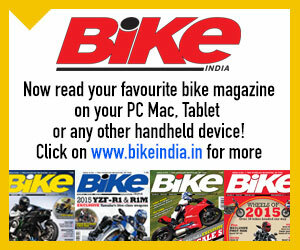 This, in relation to BSVI emission norms, will mark two extreme ends of the process,” mentioned Dr. Kumar. Until electrification is achieved, it may be very difficult to meet the process requirements, he averred. Of the opinion that the mid-point would be hybrid, and from there a move to alternative fuels or electric transmission systems will take place, Dr. Kumar said, “Another significant milestone would be vehicle safety norms. In the case of CVs, they will provide an opportunity for light weighting and design optimisation. 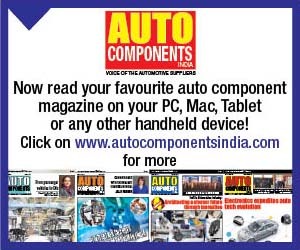 “Stressing upon Industry 4.0, Dr. Kumar averred, “This will have an effect on the manufacturing processes and beyond.” “With connected vehicles set to become a norm, further developments to increase the fuel efficiency of vehicles, especially CVs, will be needed. The per km fuel charge in India is much higher than the developed world. The transportation cost in India is almost 12 to 14 per cent higher than the global average of seven to eight per cent,” he revealed. Stating that the advent of connected vehicles will help to bring down the per km fuel charge, and in-turn the transportation cost by streamlining of vehicles, Industry 4.0 expressed Dr. Kumar, will play a major role. He expressed that the move to alternate fuels and electric transmission system will be in relation to autonomous vehicles. Considered as robust and tested in isolation, in many parts of the world, autonomous vehicles, informed Dr. Kumar, will be driven by the ability to integrate various technologies in a vehicle that are aimed at a certain market segment. Pointing at the successful application of autonomous technologies in defence vehicles, submarines or unmanned aerial vehicles, Dr. Kumar citing an example of ABS, which is becoming mandatory in CVs, and is playing an important part of the safety aspect of autonomous technologies, mentioned that Automatic braking technology and electronic stability control system, which is also a part of autonomous technologies are finding use in CVs, and will reduce accidents. In India, the accident rate is higher. 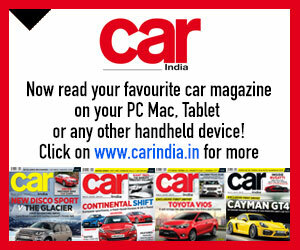 Work will have to be done in this area from a technology standpoint.” Confident of cruise control finding extensive use in CVs, Dr. Kumar expressed that technologies like night vision system, adaptive high beam, and LED lighting that ensures up to three per cent efficiency improvement will find use in CVs. Stressing upon CV OEMs and fleet management companies working in unison to help develop new technologies, Dr. Kumar cited an example of how every human being’s life is dependent on a truck. He mentioned that at least one item that an individual would have has travelled on a big truck. 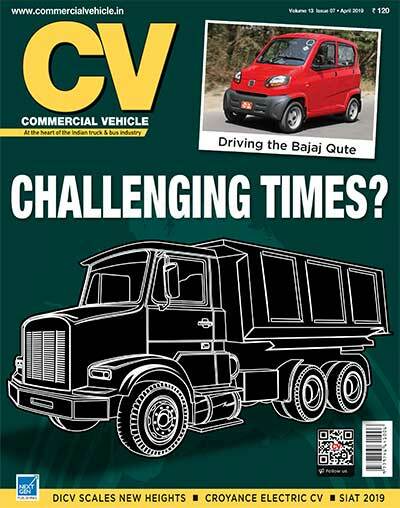 “Drawing attention to truckers making up to two per cent of the workforce in the United States with game-changing technologies converging simultaneously in a relentlessness hyper-competitive global marketplace,Dr.Kumar said, “The CV industry will be revolutionised within the next two decades.” Of the opinion that the CV industry is quite fragmented in the way it works with a large number of fleet companies having less than six trucks, Dr. Kumar informed that there are no universal software systems that could tie it all together. With a large section of the truck transportation industry not known to use software at all, in an environment where new reforms like GST are coming in, tremendous inefficiency will likely result, he expressed. “This would lead to drivers waiting for long hours to deliver or pick-up a load. The number of trucks running empty will also increase,” he mentioned. With efforts to create a silver layer of software that could be used by every segment of the industry on by many start-ups, a part of the efficiency equation will depend on how trucks are powered. With medium and heavy-duty trucks said to account for over six per cent of the green house gases, many corporates and organised fleet companies are looking at cleaner CVs. Informed Dr. Kumar, “Companies like Walmart are looking at transitioning to a fleet powered by cleaner natural gas. Tesla has announced that it will launch an electric semi-truck in the next six months. The range of a battery pack could be the biggest hurdle, what with the Tesla semi-truck expected to have a range of 200 to 300 miles. Another obstacle would be the availability of enough charging stations.” Optimistic of the Nicholas 1 hydrogen truck providing an answer to the travel range restriction posed by battery packs of electrical CVs, Dr. Kumar said that a big opportunity will be provided by the need to cut down emissions of heavy-duty trucks. “A bigger advantage may lie in cutting out the drivers. Platooning could well pave the way ahead. It would also lead to cutting down the wind drag,” he explained. Otto acquired recently by Uber, put an autonomous truck on Colorado roads to deliver a commercial consignment of Budweiser beer. Autonomous trucks are also being used in Australian mines as well. 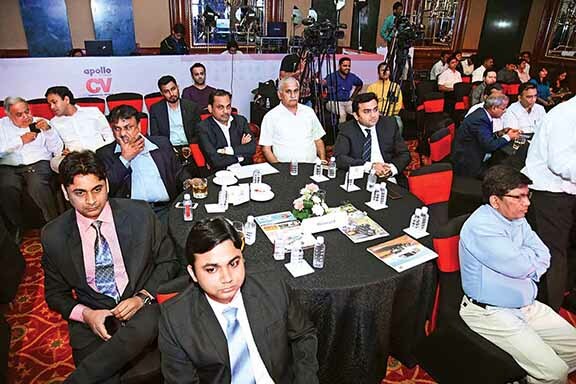 Of the opinion that fleets of driver-less trucks will mark the future in the next 10 to 15 years, Dr. Kumar mentioned, “CVs will come to be a part of efficient networks that are not slowed down by human inputs. Opportunities in India will be similar to those in the US and Europe.” “Technologies that are emerging in the US and Europe will also find a way into Indian CVs in the next 10 to fifteen years,” he said. About buses, Dr. Kumar said that the application of alternate fuel systems like electricity and hydrogen fuel cells will happen. “Such endeavours will be incentivised to cut greenhouse gases and transport large masses,” he averred. Pointing at a bus panel made up of an active matrix, Dr. Kumar mentioned that not only do such technologies support mobility, they also add value. Expressing that buses will employ different powertrains and transmission systems, and would be far more efficient than those found today, Dr. Kumar opined that urban transportation systems will leapfrog. He remarked, “They will completely transform themselves in the next 10 to 15 years. The need would be to come up with innovative platforms and create an efficient supporting infrastructure”. “While autonomous buses will take BRTS to a new level, the need would be to tap renewable fuel sources in real-time,” said Dr.Kumar. “A plethora of energy sources will be available, and the challenge would be to apply them. A bus, for example, could have solar panels on it. There’s a good scope for hydrogen and wind energy in India too. The success of such technologies will lie in their implementation,” he concluded.